Enthusiasts may moan, but electricity is taking over. Porsche enthusiasts may not like the idea of a hybrid 911, but we know that this car is already in development for a 2023 release. In all honesty, we think that these rumors may be a bit conservative after a bit of news regarding Porsche's sales in 2017. 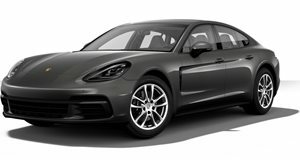 According to Automotive News, Volkswagen AG has reported that 60 percent of new Panamera buyers have opted for a hybrid model since sales started in June. The full rollout of the new Panamera is now happening in the US and China, and more than half of buyers opted for a partially electric Panamera. The elevated demand for the latest Panamera hybrid is even higher than the company had initially anticipated. “Customer demand is much higher than the 10 or 15 percent we first expected,” Gernot Doellner, head of the Panamera model line, told reporters at a press briefing near Stuttgart. Some of the demand can be explained by tax benefits that are available in Europe. For example, the hybrid Panamera's market share is more than 90 percent in Belgium and 70 percent in France. In Porsche's home country of Germany, only about 25 percent of Panamera models are hybrids. We attribute the success of the Panamera hybrid to three things. First, the redesigned Panamera is far better looking than the model that it replaced. Second, even the "affordable" hybrid version can travel around 32 miles on electric power alone. Finally, Porsche decided to make the most powerful Panamera model a hybrid, which produces an insane 680 hp. Now people won't just buy a hybrid Panamera because it's efficient, they will also buy it because it's the fastest. This news comes at a good time for Porsche with the Mission E set to be revealed soon. Porsche better hurry up with that hybrid 911, because it will probably sell like crazy.